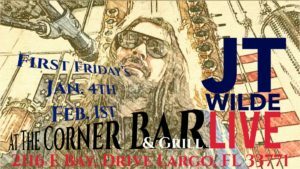 J T Wilde will be performing at Corner Bar & Grill Largo FL. Come out and enjoy great food great music from 7:00 to 9:00! AS always Karaoke starts at 9:00 PM!